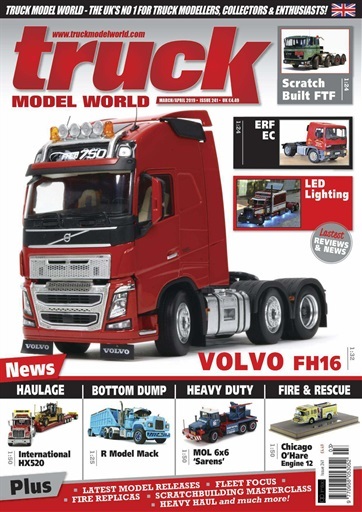 (0 Customer Reviews) | Write Review 6 issues per year Truck Model World is aimed at all those who build and collect truck and construction models,truck enthusiasts, and the road transport and construction industries. Whereas there are specialist titles covering radio control models and diecast collecting, Truck Model World is the only magazine to cover all aspects of this hobby. It has an international readership, and actively encourages reader contributions, leading to a strong sense of ownership and loyalty by readers. Truck Model World covers scratchbuilding; plastic, resin and metal kit building and conversions; diecast collecting; radio controlled truck models; plant and construction equipment; practical articles with hints, tips and techniques; technical data, drawings, plans and photographs; painting and finishing; model show reports from the UK and around the world. Truck Model World is aimed at all those who build and collect truck and construction models,truck enthusiasts, and the road transport and construction industries. 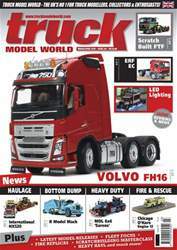 You'll receive 6 issues during a 1 year Truck Model World magazine subscription. You'll receive 6 issues during a 1 year Truck Model World magazine print subscription.